The Czech Republic's largest metropolis is also known as the City of a Hundred Spires or simply Prague. Once the centre of the Holy Roman Empire, Prague is the republic's capital today and Europe's sixth most visited city after London, Paris, Rome, Madrid and Berlin. With a population of 1,250,000 people, the city has a typical oceanic climate of sunny summers and relatively cold winters. Its name is taken from the old Slavic root, "praga", which means "ford" - a term reminiscent of its beginnings at the junction of the Vltava River on the Bohemian Basin before spreading over the nine hills of, Letná, Vítkov, Opyš, Větrov, Skalka, Emauzy, Vyšehrad, Karlov and Petřín. Today, it has grown into a 192-square mile metropolis dotted with historic buildings, museums, churches, and palaces - many of which are UNESCO World Heritage Sites. Expatriates coming to settle can choose between ten neighborhoods in the city: Old Town Prague or Stare Maesto, home to the Astrological Clock; the Castle District Hradcany, which houses the world-famous Prague Castle; Mala Strana; Josefov - the Jewish Partner of Prague which has transformed into a mini-Paris Boulevard; the traditional Roma outpost called Zizkov; Nova Mesto; Vinohrady, one of the city's most popular residential areas; Smichov, home of the Staropramen Brewery Visitor Center; Vysehrad; and the city's most affluent residential community, Devjice. English is fast becoming a second language in Prague, especially among the younger ones and those who work in the tourism industry. When they are not speaking English, they speak in their own tongue, Czech, which continues to be a challenge for English-speaking expatriates. Czech is of Slavic origin and is difficult to pronounce for foreigners who have problems with an "r" with a hácek on top of it. Older people, when not speaking their native tongue, talk German or Russian. Czechs are such music aficionados that a local saying goes "Co Čech, to muzikant", meaning, "Every Czech is a musician". But even as they lose themselves in the emotion of music, an unmistakable air of formality remains when they socialize. However, everybody loosens up to a warm, sumptuous dinner which often consists of meat with gravy, a starchy side dish and lots of fruits and vegetables eaten fresh or in strudels, pies or dumplings. Major religions in Prague include Roman Catholicism and Protestantism, with a small percentage comprising atheists or non-believers. The people themselves are a medley of ethnic roots, including Czechs who, of course, dominate the population, Slovaks, Hungarians, Polish and Germans. The diversity is attractive to expatriates who feel comfortable with the open society. Prague is one city in Europe that escaped ravage in World War II and has a well-preserved historic architecture from Art Nouveau to Cubist to modern collections. When expatriates arrive for the big move to Prague, they'll know they've made the right choice. This city capital of Czech Republic has always been referred to as the ‘culture centre of Europe’ because of the well preserved local heritage that you will see in its traditionally inspired architectures and historical landmarks. Many expats like you are relocating here not just because of its breathtaking natural beauty but also because of the many prosperous employment opportunities the city offers. 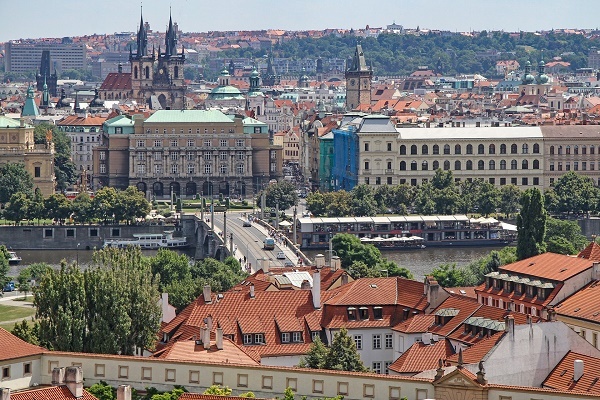 Prague is the home of many large international companies that are hiring locals and foreigners in various fields such as finance, trade and hospitality. You can also look forward to a quality lifestyle without spending a lot of money which is considered to be rare nowadays. 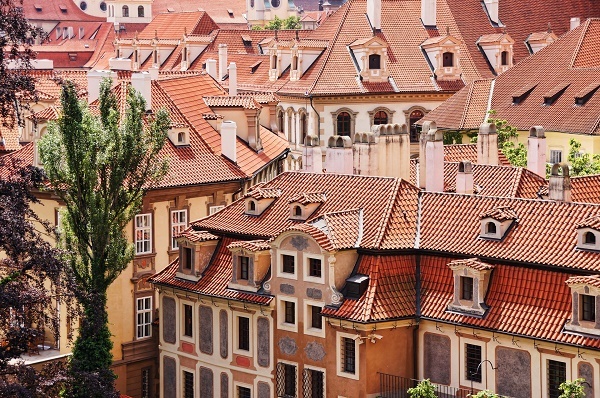 Here is some essential advice that will help you get started in your adventure in Prague. There are websites that post pictures, locations and prices of real estate properties in Prague. You can browse through these online portals by typing in byty (apartment) and ornemovitosti (property) to have an idea about the market and how much you need to prepare for your rental budget. You can also look for advertisements in local newspapers or ask around fellow expats if they have any referrals since word of mouth can be a very effective method of looking for a place to live. Hiring local realtors is also a common option for expats who want to make the search faster. Utilities like water, gas, electricity and garbage collection are not usually part of your rental payments and can cost around €150 per month. You can get an internet connection for the price of €15 monthly and make local mobile calls at €0.15 per minute. Rentals in Prague are usually unfurnished, but there are some that come along with a ‘furniture package’ at an additional cost. To reserve a place, you need to pay the landlord a deposit amount which is the equal of one or two months’ rent and present documents such as your passport and proof of income. There are many accommodations in Prague, but most expats are living in the heart of the metropolitan where the price of a one bedroom apartment starts at €500 per month and €900 for a three bedroom unit. You can also consider the rentals in neighbouring districts like Prague 5 and six where a one bedroom unit is around €400 and a three bedroom unit is roughly €600 monthly. Most of the international schools in the Czech Republic are located in Prague. These institutions are using International Baccalaureate Program (IB), British or American curriculum and English or bilingual in teaching which makes them a bit expensive compared to other private schools. The International School of Prague is one of the schools where a huge majority of expat children in the city are studying. The regular school year in Prague starts in early September and ends in late June of the following year where education is mandatory until the age of 15. Registration for state schools start in January, and incoming students need to undergo a test that will gauge their readiness, physical and social capabilities. You can check the Charles University in Prague, which is the largest and oldest school in the country founded in 1348. You can hire a local or international shipping and removal company to assist you in bringing your belongings to Prague. With all the things on your mind during the relocation, it's best to seek help from these professionals to make sure that nothing will go wrong in the moving process. Since Prague is a landlocked city, containers are expected to arrive in the Port of Hamburg within 6-11 days, depending on your country of origin. To know more about the city’s import regulations, click here. Your pet needs to have a microchip as a form of identification before it gets allowed to enter Prague. All animals coming from non-EU states should have the Annex IV Form for the Czech Republic issued ten days before arrival while those from EU countries should have an updated Pet Passport. It is highly doubtful that you will feel different once you arrive because 30% of the city’s population is made up of foreign nationals from all parts of the world. You will soon be a part of Prague’s vibrant communities that are made more colourful by the diverse influences of its people. The City of a Hundred Spires is incredibly beautiful and breathtaking which makes it as one of the top expat destinations in the globe. It is the 14th largest city in the European Union and the largest for the Czech Republic. The city which is blended with historically rich culture and modern architecture is home to more than 1.3 million settlers with the 30 percent of it representing the expats mainly coming from other European countries. In the 2016 Mercer Quality of Living Survey, Prague is the highest ranking city in Eastern and Central Europe when it comes to overall quality of life. 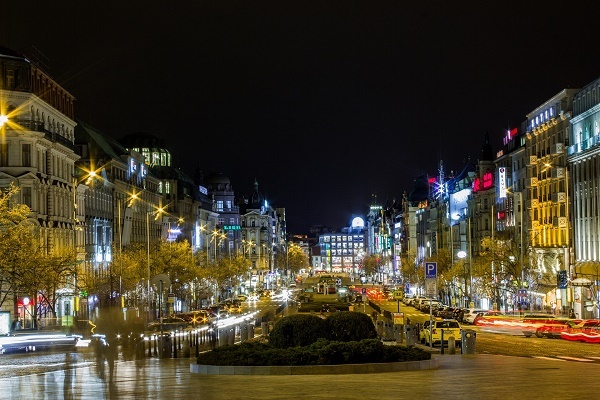 The capital city of Czech Republic is as promising as it sounds and appears for many foreigners starting a life there. Prague is for children of all ages for the many destinations and attractions all found in this grand city. As the “Culture Centre of Europe”, there are many spots in the city in which expat families will enjoy seeing. The famous Prague River Cruises can be a weekend habit for families as it crosses along the Charles Bridge. Entertainment is also at its best in the city with Puppet Shows and theatrical shows which can all be seen either in National Marionette (Puppet Theatre) and Black Light Theatre. Another popular activity in Prague is the Escape Room Challenge, a real-life interactive game best played by groups of two to five persons. The game includes finding keys, breaking codes, interlinking various objects and solving puzzles and riddles within 60 seconds. Expats must take note that the driver seat on the vehicles in Prague is all on the right side. Those holding an EU license are the only ones allowed to get a Czech Republican driver’s license except those who also came from European Union countries. Car renting is also an option for expats but must take note that the renting fee varies on the renting hour and car model. But the best option still is to utilise the city's public transportation since it is cheaper. Even though the Czech Republic is notorious for its bureaucratic processes, it may sound surprising for expatriates that opening a bank account in Prague is easy. With a simple requirement of providing a valid ID and passport, an expat may use their accounts in a week’s time. Banks in Prague range from local to international and some of the most renowned are the Expat Center of Ceska Sporitelna, Citibank, GE Money Bank, Komercni Bank and Unicredit Bank. Cestina is the language spoken by the majority of people living in Prague. The language barrier is impeding an expatriate’s chance to move on with culture shock, and it might take the time to understand the language eventually. For expats working in Prague, they must also be aware that Czechs are very straightforward and are stringent with time and meetings. Family is the centre of the social structure in this city and locals put their loved ones above anything else. The Czechs are also quite formal and polite. They seldom call someone on a first-name basis particularly those that are outside their circle of friends or extended family.